Being January many of us embark on a diet or exercise regime. 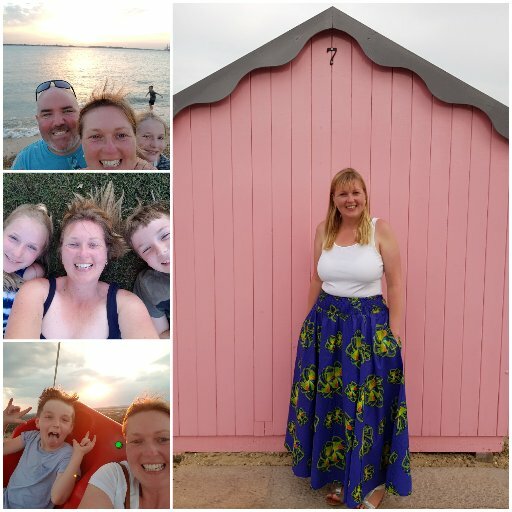 I have been going to Weight Watchers for a few months and was doing really well having lost a stone but then along came Christmas and it all went rather pear shaped and I put on 4 1/2 lbs in December. I am now trying to lose that again before setting a target. (So far lost 2 1/2 lbs of Christmas weight). I thought I would share my favourite healthy eating recipes over the next few months. 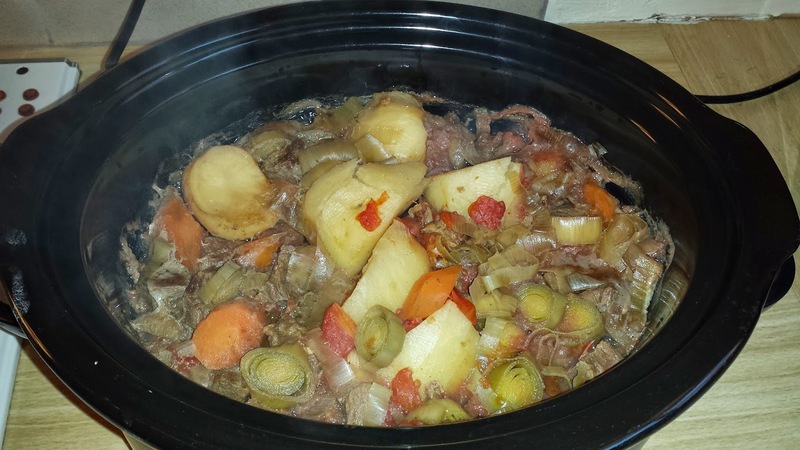 Beef Stew- This can be eaten freely on Filing & Healthy days if you are following Weight Watchers. I also sometimes add tinned tomatoes, tomato puree, mushrooms, runner beans. You can really add whatever veg you have or like. Spray a large saucepan then add the stewing steak a little at a time, so that it sears and browns. Add the onion, carrots, leeks and stock. Season with a little salt and pepper. Bring to the boil then reduce the heat and simmer, partially covered for 2 hours. You may need to add more stock. When the meat is tender add the potatoes and cook them until tender – about 20-30 minutes. Stir the peas into the stew and cook gently for another 3-4 minutes. I usually cook this in the slow cooker. I bung everything in except the peas or runner beans. Leave for 6-8 on low. Add pea/runner beans 30 ish mins from end. Chicken breast, wrap in bacon with all fat removed. Cook for 25 ish mins. Microwave potatoes for 5-10 mins depending on size & then slice (be careful as will be hot) & put on the tray with frylight. I sometimes flavour with paprika, garlic salt or normal salt & pepper. These will need to be cooked for 25 ish mins. I serve with baked beans or broccoli, peas & carrots or a salad. 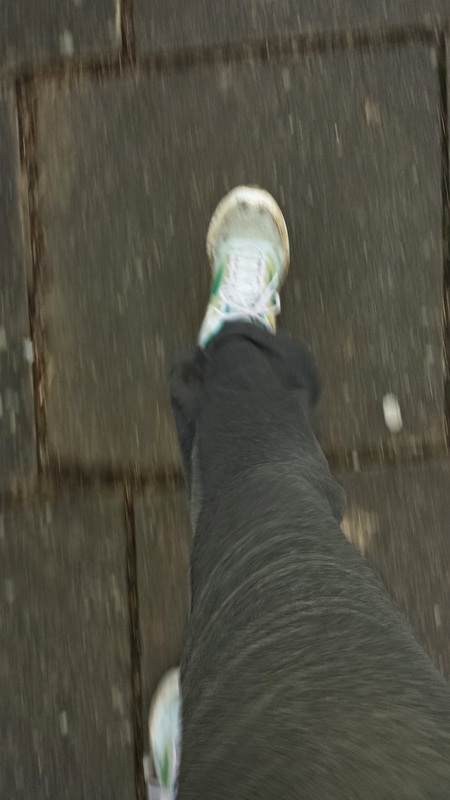 For exercise I have embarked on the couch to 5k programme. I've completed 6 runs using the app & have enjoyed it but its hard. I'm not a natural runner & haven't run since school. I commence the next phase Friday which is longer runs inbetween walking. Wish me luck! Not sure about you guys but I'm missing The Vampire Diaries & The Originals. I know The Originals is back 24th Feb on Syfy but dont think a date has been set for The Vampire Diaries yet although I've seen several fansites say February. I thought this was a perfect opportunity to have a recap. For me The Originals is now the best although my heart will always belong to TVD due largely to Damon Salvatore (Ian Somerhalder). I think TVD lost its way a bit last series & the traveller/Silas storyline didn't work for me. It was too long winded & complicated and seriously how many times can people die & come back to life. This series has got off to a much better start although a tad slow. I loved the Damon/Bonnie segments on the other side. I'm also really glad Alaric is back as I loved his character. Enzo is another fab character who is so far underused in my opinion. I like the new direction with the founder member. How much does he know? Where's Enzo gone? What about the new girl? And does Bonnie ever come back? 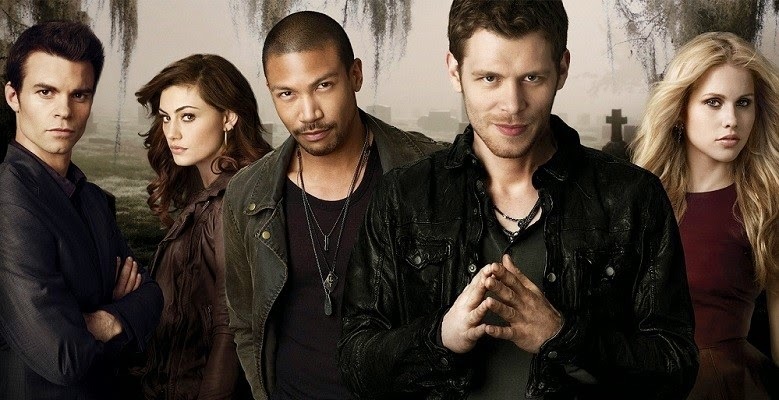 The Originals is amazing this series although Michael's I hate my children/must kill Klaus is getting a bit ridiculous. The acting has been brilliant & I can't pick a favourite character. I love the new Kaleb/Kol character & hope he has a permanent slot. Marcel is gorgeous. Cami, Rebecca & Hayley are strong, feisty, beautiful women and Klaus & Elijah are amazing characters. Davina is the only annoyance for me I find her character whingey & not as well rounded. I love The Originals as it has so much history. Vampires are not the most powerful or feared & it also has brilliant moments of humour & warmth. I can't wait for it to start again. What's going to happen to baby Hope? Ester? What a brilliant twist that was!!! How will Rebecca get out of the house & into her body? Will Hayley really marry Jackson? Will Elijah be ok? What will Klaus & Elijah do to Kol when they find out about Rebecca? When will the evil aunt appear? So many unanswered questions! Is it 24th Feb yet? :) Glad they've both been renewed. My love of vampires can continue. Self publishing update -1 year on. Hiya Everyone & happy new year. Today is my last day off before its back to work (Teacher training day) kids currently playing on the PlayStation & waiting impatiently for some biscuits to cool down that we've just made. I thought I'd do a round up & let you know how my self publishing adventure has been. Have released the sequel The Reckoning which I love & wasn't in my original plan. I am a little disappointed by sales but think it was an OK year for a complete unknown author who has learnt along the way. I'm not sure if the free promotions helped or hindered me though & this continues to be my largest puzzle. 660 free copies of The Awakening were downloaded but have not produced the follows/reviews I'd hoped for & I'm beginning to suspect free ebooks simply are not read. Do you read free ebooks? Or do you just impulse download & then never look at them again? 197 free Origins were downloaded but only 1 review & that was someone I know. The Reckoning which I am VERY proud of has so far only sold 21 copies. Again my aim is 100 during the year. I think The Reckoning shows a vast improvement in my writing & I am pleased that I formatted it myself & organised a small blog tour. Unfortunately the tour which was 10 blog sites did not result in sales & I'm not sure if this is because The Reckoning is a sequel & people had not read the first book. I've been deliberating a relaunch of The Awakening as I have learnt a lot since I began a year ago. I've been looking at Bookbub & Freebooksy. Both are sites you pay for & they advertise your free or discounted books. The figures look impressive but do people actually read them? If I proceed I would hope it would lead to greater sales of The Reckoning. Bookbub would cost $85 to advertise for free as mine is a YA book. Free downloads are between 3000-18500 based on their figures so potentially that is a lot of people that may go on to buy The Reckoning but it takes me back to my initial dilemma as to whether people read free eBooks & it also pains me slightly to actually pay to give my book away. Will it pay off? Is it worth it? This is something I don't know. I haven't crossed this bridge on my self publishing adventure & am not sure what to do. I have found the last few weeks a little frustrating and am having a bit of a social media break. However in the last 2 days I've had 2 amazing reviews for The Reckoning which has definitely put a spring back in my step. This one is a 5 star on Amazon.co.uk - Having read The Awakening I was very much looking forward to the sequel and I have to say it didn't disappoint. Lauren really seemed to come in to her own in this book and very quickly she became my favourite character. There is a lot going on in this story and it's extremely well paced and I found I didn't want to put it down. Without spoiling anything, I think the author was very brave with how she ended the book and for me it was all the better for it. There were probably quite a few more obvious endings that she could have come up with, but who wants predictable?! And this one is a 5 star on Goodreads- First thing first, the book cover is absolutely beautiful! Props to the designer! This is the sequel to The Awakening and sometimes sequels are never as good as the first book but I think The Reckoning was actually better then the first one. It really put the story all together for me and had me tearing up at the end. I was not expecting the ending, I thought something would happen and it would change but nope, but it made the story that more fantastic. You can really see the characters growth in this story and how they dealt with everything happening. This sequel was very enjoyable and for everyone who is a big fan of fantasy books this is the series for you! Well done Emma for the great stories! Cannot wait to read more from her. I am beyond thrilled with both of them & although my sales have been disappointing these reviews make it totally worthwhile. In total 967 of my books are in the world which is something to be proud of & I have learnt a lot. Any input about the free books would be amazing & very helpful. I'm not gonna be around much but will be checking my blog. Thanks everyone for reading, commenting & hope you all have a fab January.